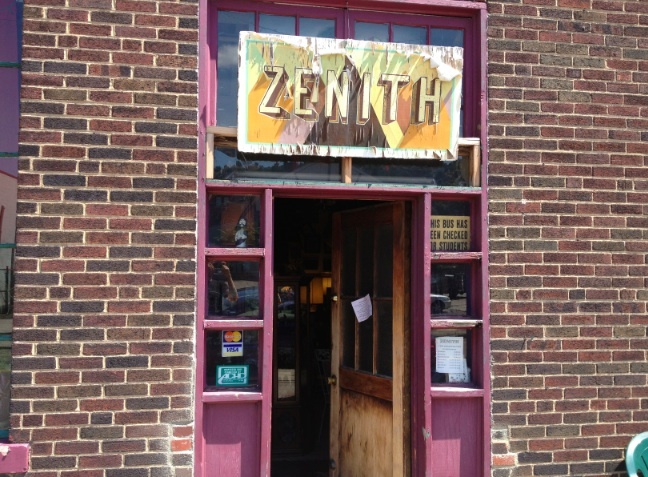 Zenith is Pittsburgh’s oldest and most fantastic Vegetarian restaurant. 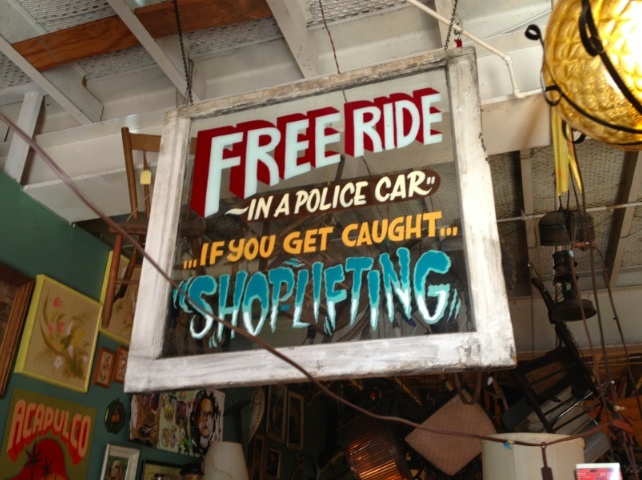 Mostly Vegan and all Veg, it is also an art gallery and Antique shop. Most famous for the $10 all you can eat sunday brunch, Zenith may be the anti-skate snack since one is doomed to the best food coma money can buy. This renders skateboarding virtually impossible for the remainder of the day. 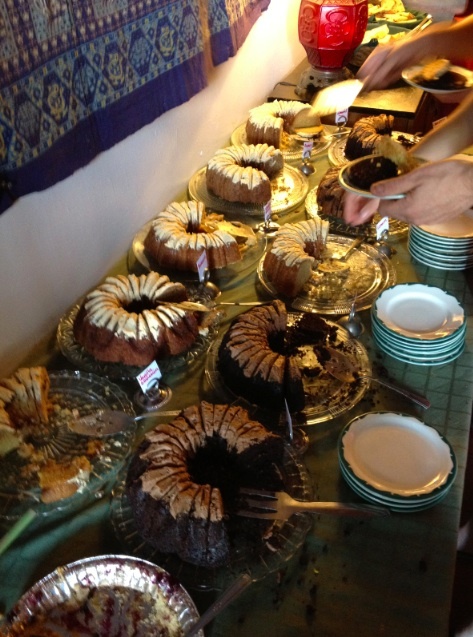 Just look at all these cakes! Twelve and they are ALL VEGAN!!! Here is the deal, you get a seat, order 1 of 7 entrees, choose coffee or tea, and then settle in for a carbo-load while you wait for the entree to be served. I recommend going in for dessert first, but after that the green potato salad and sesame peanut noodles are a must. 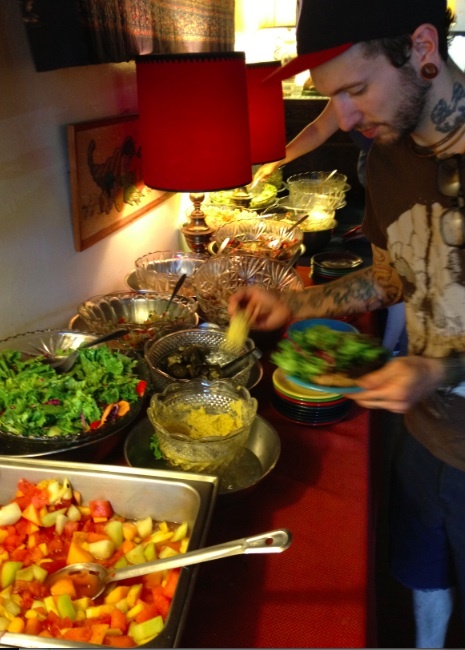 If you are on a skate trip or vegan food tour, this place is a must. Cheap, delicious and filling. Never a disappointment. The owners are surly Yinzers too! No hippy crap here. When you’re done eating and need to walk it off, “Headboard Shop,” Pittsburgh’s longest running skateboard shops is right around the corner!